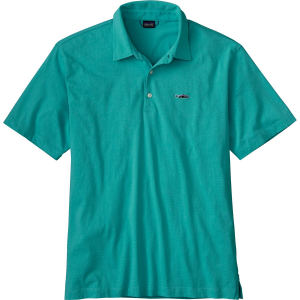 Your boss might fire you if you show up to work in waders and a vest again, so get the Patagonia Men’s Trout Fitz Roy Polo Shirt. Its clean style helps you look sharp at the office, and both the relaxed fit and organic cotton fabric keep you comfy all day long. More importantly, however, the Trout Fitz Roy logo reveals your true nature without involving stinky-fish waders.